Let’s start this week off by telling you a little bit about how much we LOVE color! Yes, most of our branding is classic black and white. But when it comes to photos, we love, love, love color!! 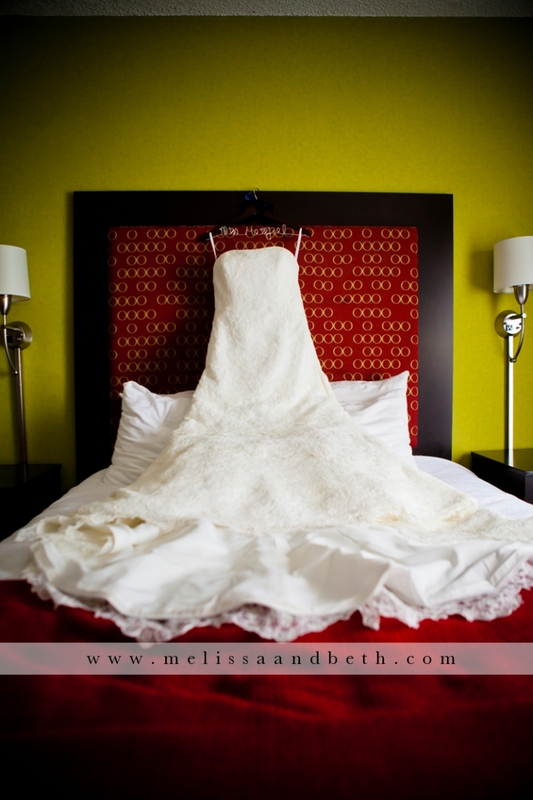 From the very start of Chris and Amanda’s big day, we were falling in love with color all over the place! 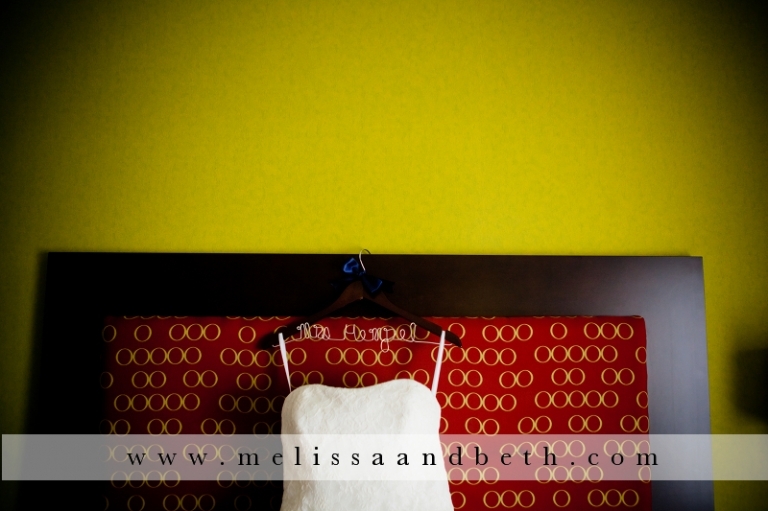 We met up with the wedding party in downtown Kansas City at the Aladdin Hotel, where we found the girls getting ready in this gorgeous, colorful room! The great colors trickled down to every last detail, including the bride’s shoes and the groom’s socks (which, let me just warn you, you are going to see a lot of this week!). One of the first things we do when we arrive to a wedding is play with the dress! (Don’t worry… we are VERY careful!) While we be photographing the dress all day long as the bride wears it around, it’s one of those details that we just can’t help but capture! Amanda received a personalized hanger for her gown with her soon-to-be new last name- the perfect touch for the dress photos! Mrs. Hempel… has a nice ring to it!! Here are those bridal shoes I mentioned earlier! OBSESSED!! And the groom’s socks! Just wait… we got a photo of all the guys with their matching socks! We’ll get to that later in the week! After some final touches, we watched as Amanda and Chris opened the gifts they got for each other. Notice the label on the note that Chris gave to Amanda… her married initials: ABH (almost). In just a few hours from her reading this, she would officially be ABH! And one of the best reactions we’ve seen! Chris obviously did an amazing job picking out a gift for his bride! Even her sister in the background has a priceless look on her face! Oh, and in case you were wondering what the gift was… an amazing pair of earrings!! Of course she is going to wear those beautiful new jewels from her sweet man!! This is just the beginning!! Check back with us tomorrow for a peek at the First Look!! Beautiful pictures and people. All the best in your new life together! You guys look awesome together! I couldn’t be happier for the two of you. Best wishes!